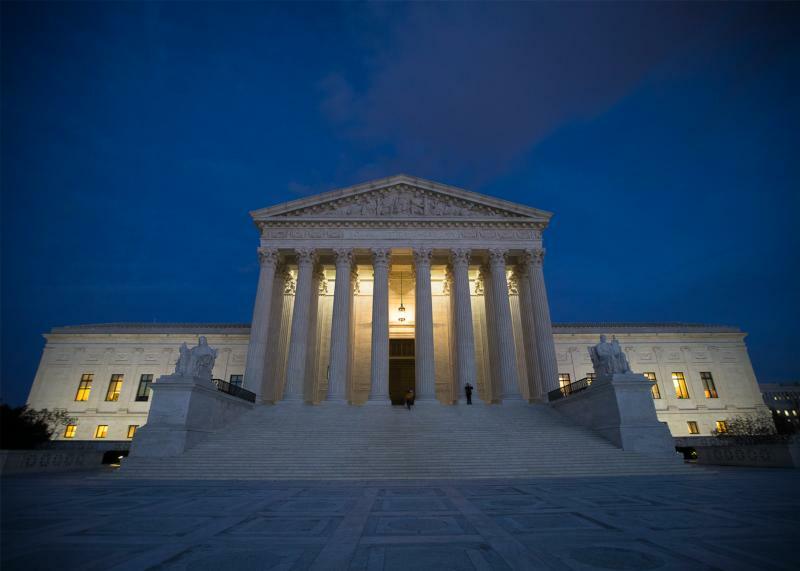 WASHINGTON (CNS) -- The U.S. Supreme Court blocked a Louisiana law requiring abortion providers to have admitting privileges at nearby hospitals Feb. 7. "The fact that abortionists and their facilities cannot or will not meet basic health standards exposes the lie of their clever slogan that abortion is health care," Archbishop Joseph F. Naumann of Kansas City, Kansas, said in a Feb. 8. statement. "Regardless of this disappointing ruling," Archbishop Naumann added in his statement, "the pro-life movement will continue to work and pray for the day when every legislature and court recognizes the brutal injustice of abortion -- to women and their children alike -- and our society sees abortion as unthinkable." In defending its requirement for abortion providers -- supported 2-1 by the U.S. Court of Appeals for the 5th Circuit -- the state of Louisiana said its law would not have the impact that similar legislation would have had in Texas, mainly because there is no evidence that an abortion clinic would close in Louisiana as the result of the law. The USCCB's Secretariat of Pro-Life Activities said the ruling "contradicts the consensus among medical groups that such measures protect women's lives." In response to the court's decision to strike the legislation, the USCCB's Secretariat of Pro-Life Activities said the ruling "contradicts the consensus among medical groups that such measures protect women's lives."